The Profectional Company is proud to announce the calendar of our upcoming CPD courses, please also visit the list of courses and list of our presenters for more information. 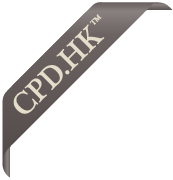 Although our courses are tailored for professionals with prior legal backgrounds, all of our CPD courses are opened to the public and participants that are interested to attend should be benefited from our courses by the most distinguished and experienced presenters in the industry. Copyright© 2014-2019, The Profectional Company Limited. All Rights Reserved.